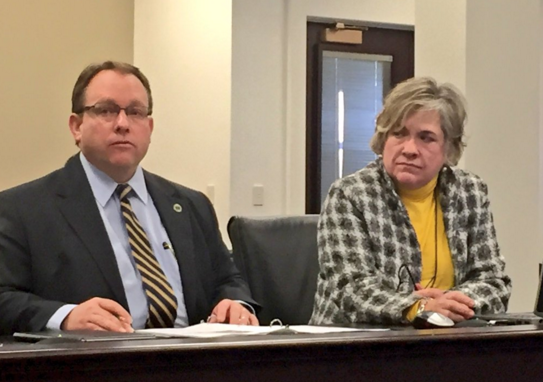 Murray State University president Bob Davies, University of Louisville president James Ramsey and Kentucky Community and Technical College System president Jay Box were among those at the meeting who spoke out against the governor’s budget. The hearing was organized by state Rep. Arnold Simpson, co-chair of the Budget Review Subcommittee on Postsecondary Education. Box told lawmakers KCTCS would have to fire more than 500 employees or increase tuition nearly 9 percent in response to the 4.5 percent reduction in funding for this remaining fiscal year and 9 percent cut in following years. State Rep. Gerald Watkins of Paducah attended the hearing. Watkins, a Democrat, said the cuts are drastic and would devastate higher education in the commonwealth. “If we’re going to train and educate Kentuckians for the workforce, give them the tools to be able to support themselves and their families and grow our economy and create jobs, this is not the way to go," Watkins said. Meanwhile, Watkins said he plans to attend the student organized March for Education next Thursday, February 25 at the Capitol. Students from Murray State, Kentucky State University and other schools have coordinated for that event. 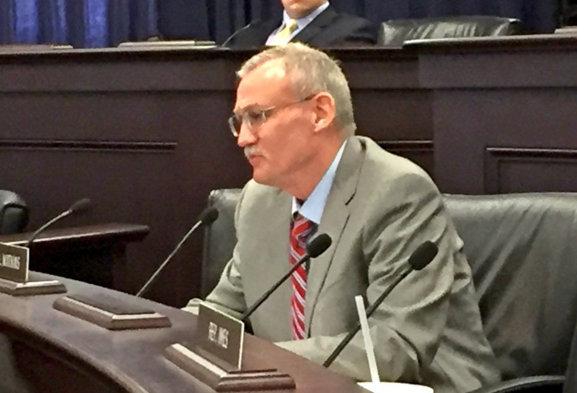 Legislation to set aside state funds to help with counseling for compulsive and problem gamblers is headed to the Kentucky House floor. Similar measures have been before state lawmakers 15 times previously. UPDATE: The march is now set for Thursday, February 25. The event was originally scheduled for February 29, but organizers decided to change the date to a day when lawmakers would convene at 2 p.m. rather than 4 p.m. Consideration of a bill to exempt the Kentucky equine industry from sales tax on veterinary drugs led to a much bigger committee discussion this week, including talk about tax reform. Gov. Matt Bevin has proposed 9 percent cuts to most state government agencies over the next two years in an effort to reduce state spending by $650 million. Kentucky Gov. Matt Bevin’s proposed budget includes $12.4 million in raises for the Kentucky State Police and $4.5 million in salary increases for the state’s correctional officers.